The Cross 53 series tandem gear hydraulic pumps provide two sections for operating separate systems with independent flow requirements or combining the flow from two sections into a compact space less than 6" x 6 1/2" x 12". The Cross gear tooth design and pressure-balanced loading plates provide high volumetric and overall efficiency. 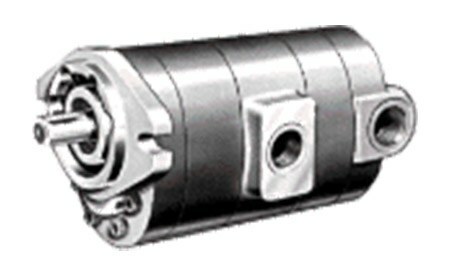 Dual (tandem) body hydraulic pump in single rotation only. Operate as two separate sections, combined sections or with common inlet and two outlets to supply flow to two separate hydraulic systems.